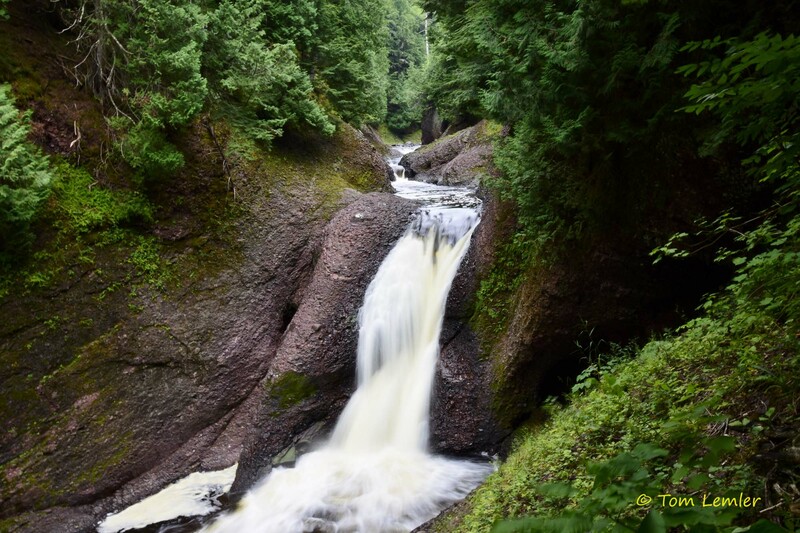 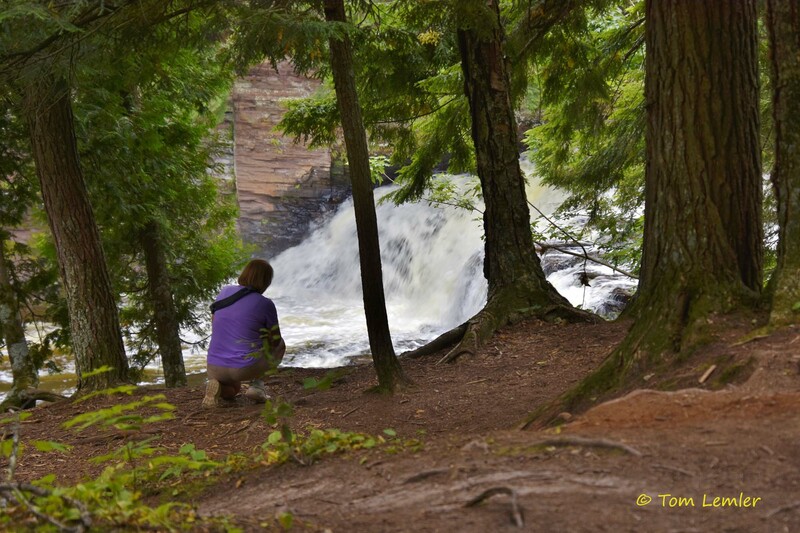 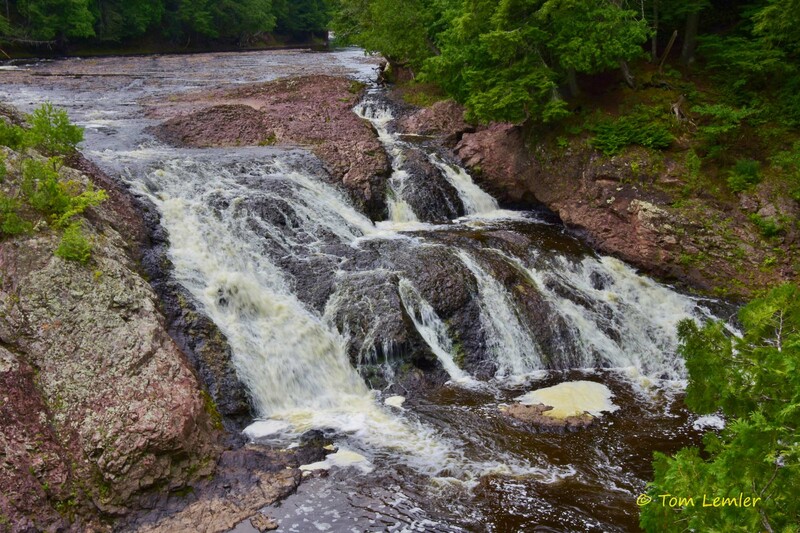 Day four of our family adventure across the Upper Peninsula was another day filled with waterfalls and stairs. 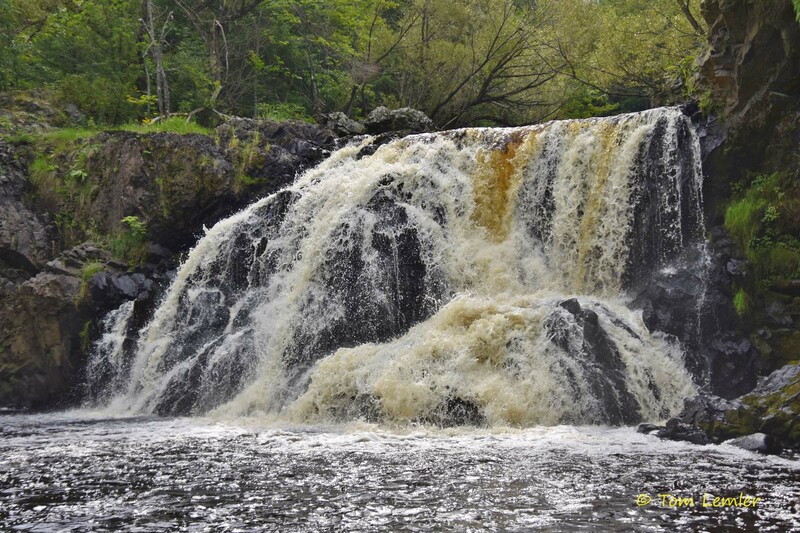 Our first stop for the day was just a few miles from where we were staying and included two waterfalls, I think. 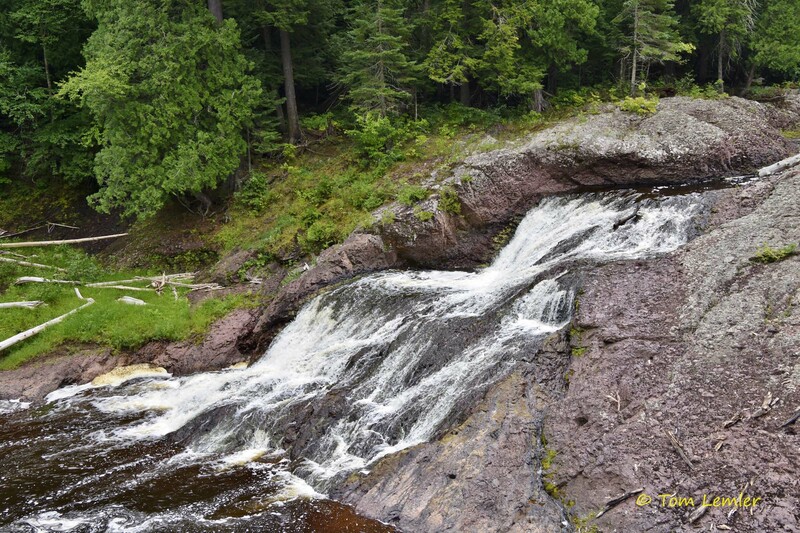 Some say it is the same waterfall with two different names, but we definitely found two unique falls areas so I’m going with having found both Peterson Falls and Interstate Falls. 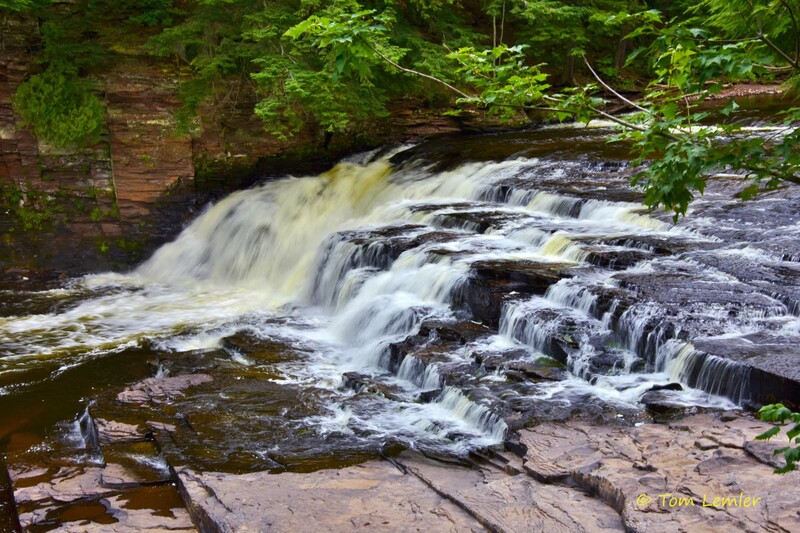 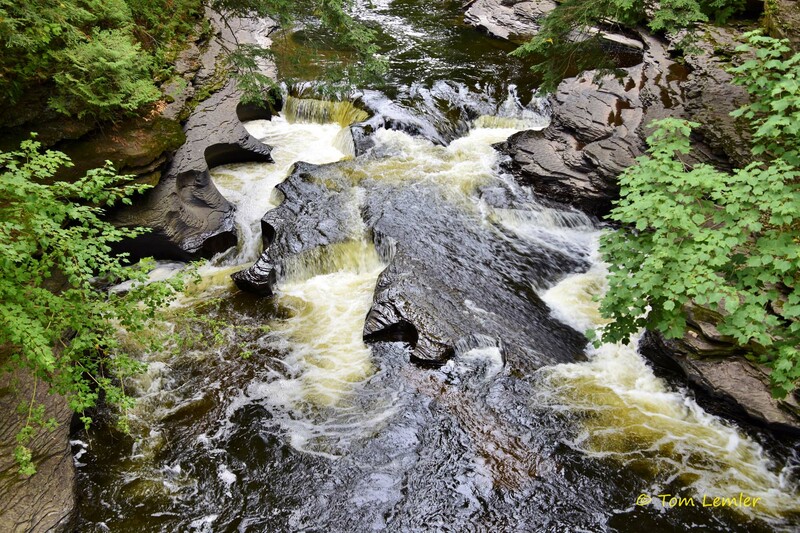 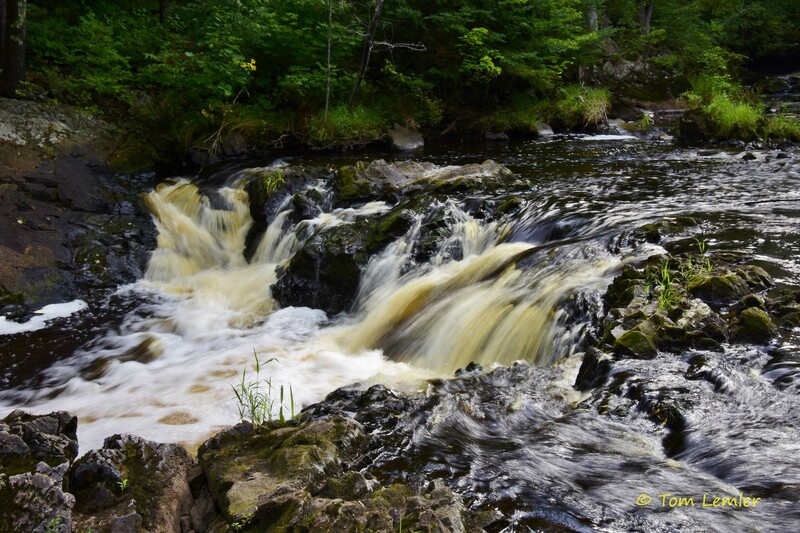 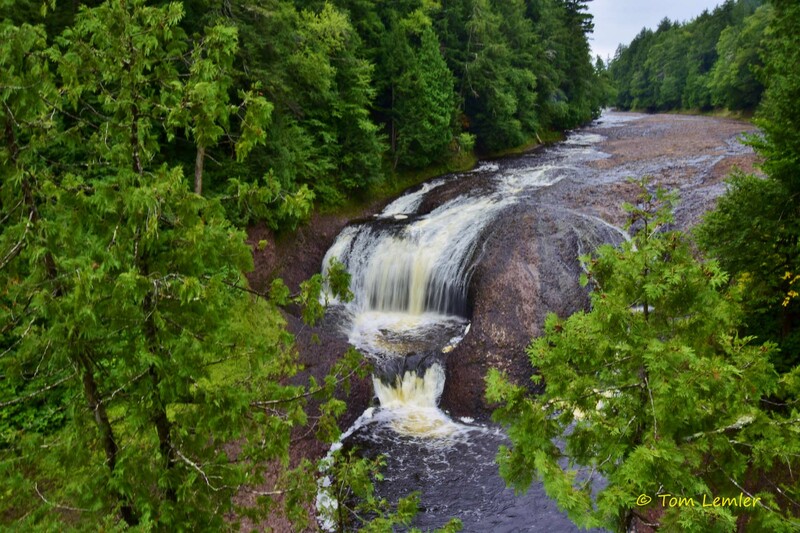 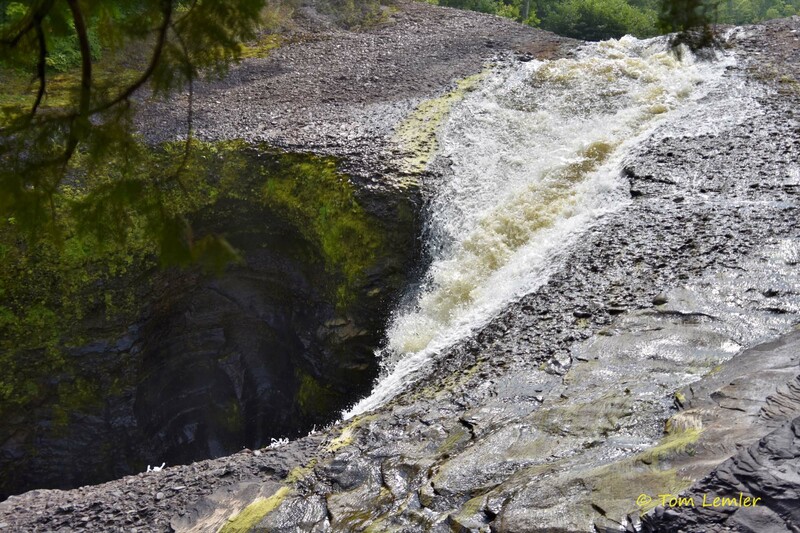 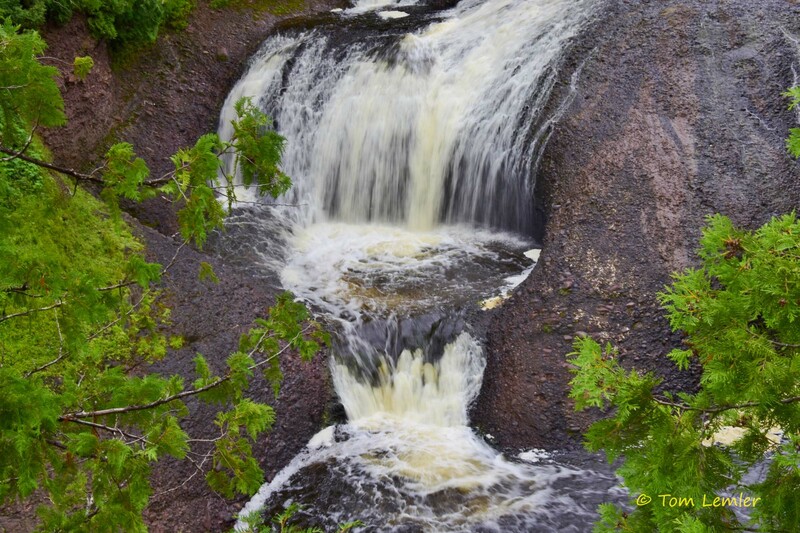 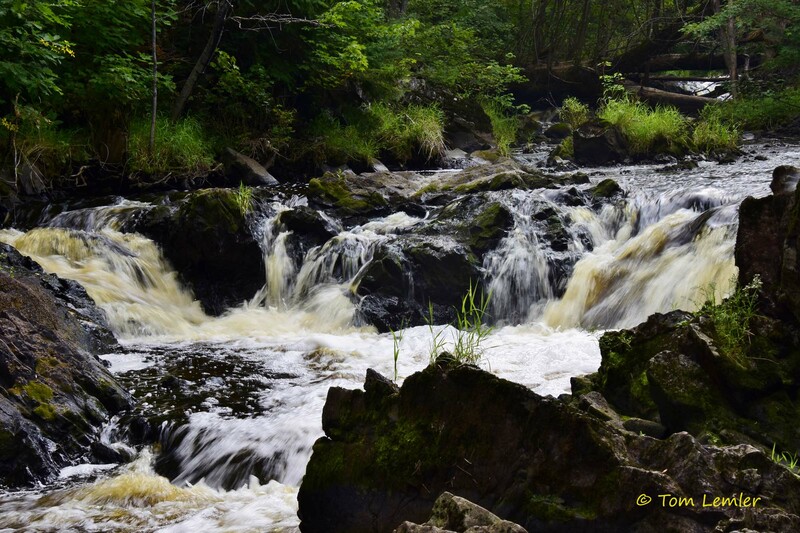 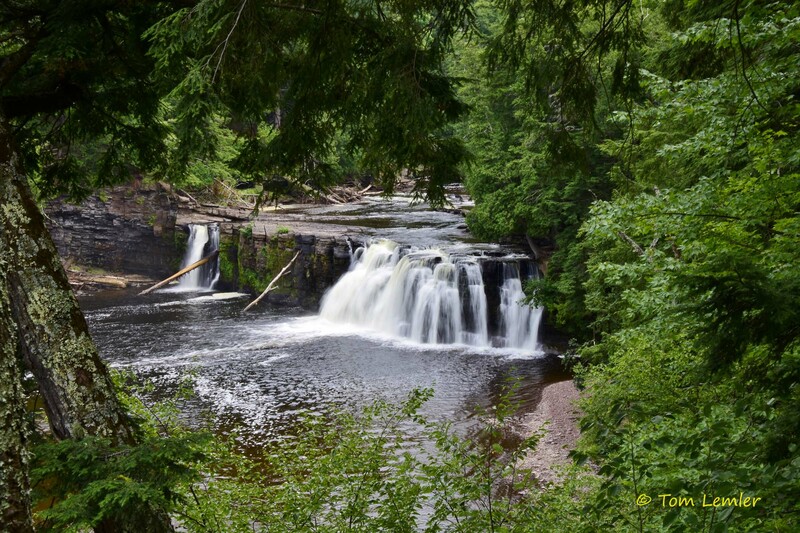 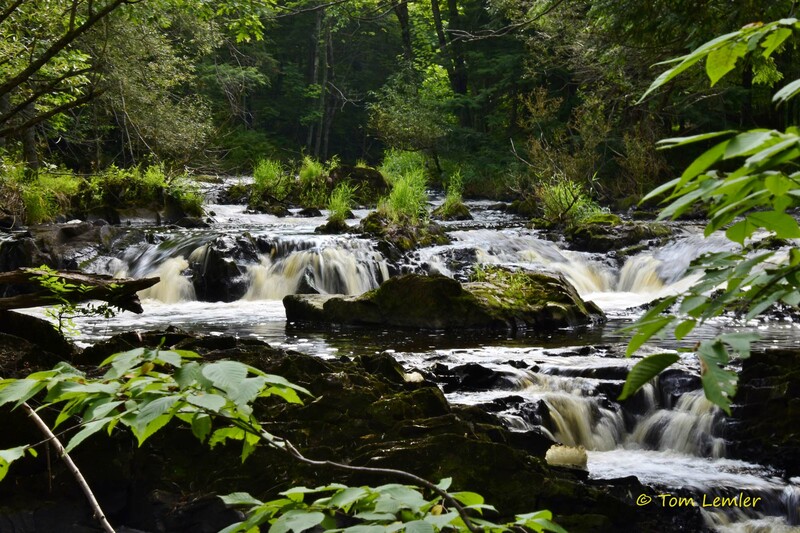 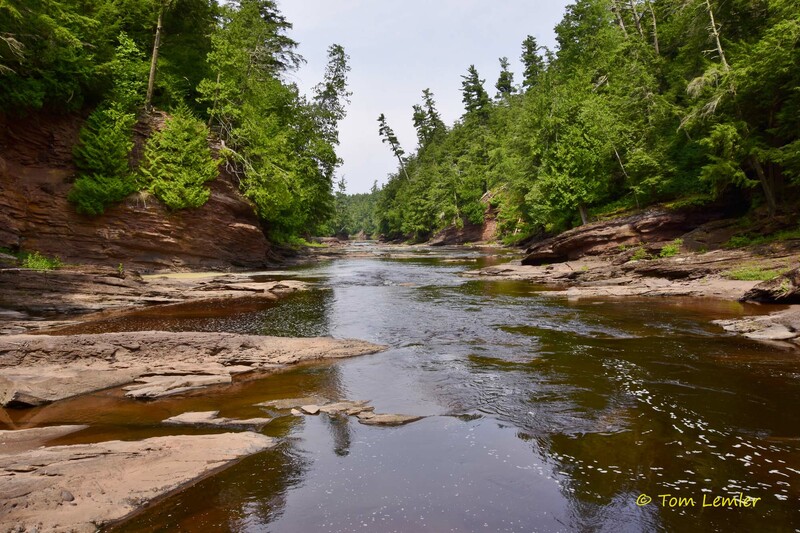 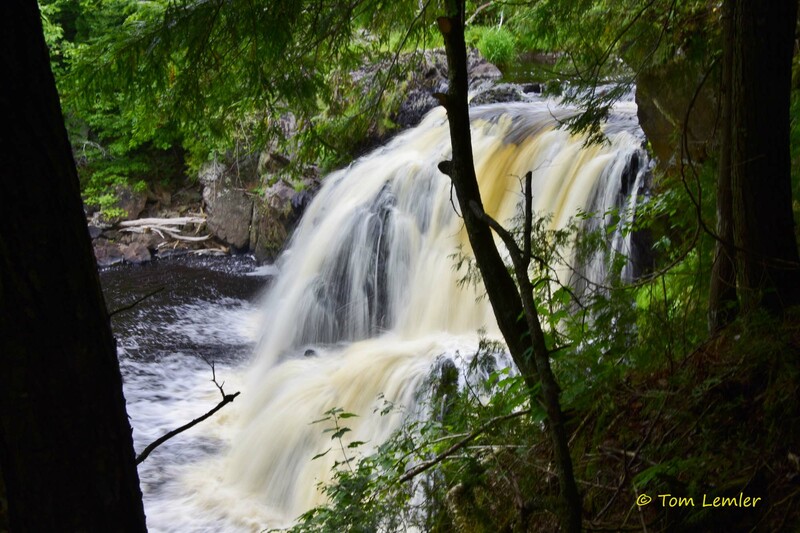 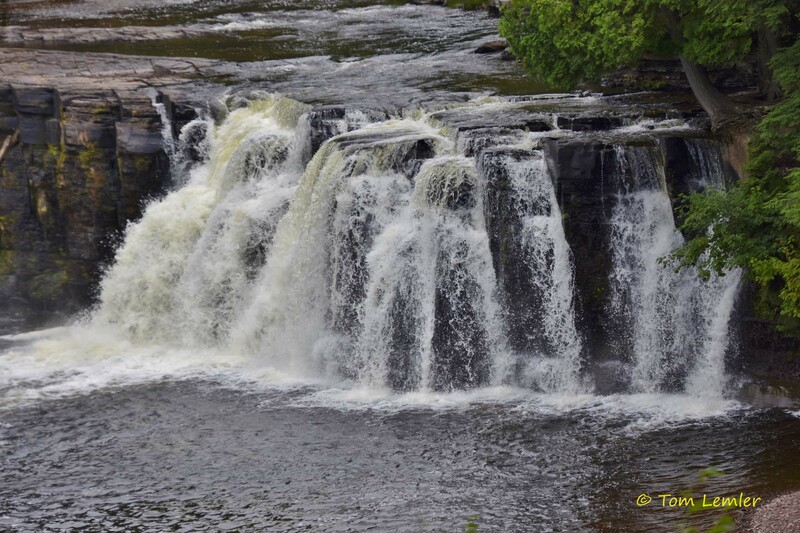 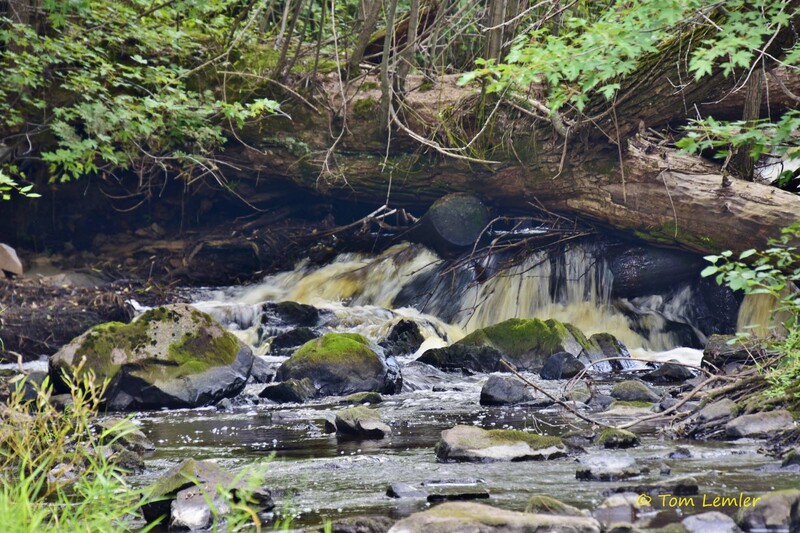 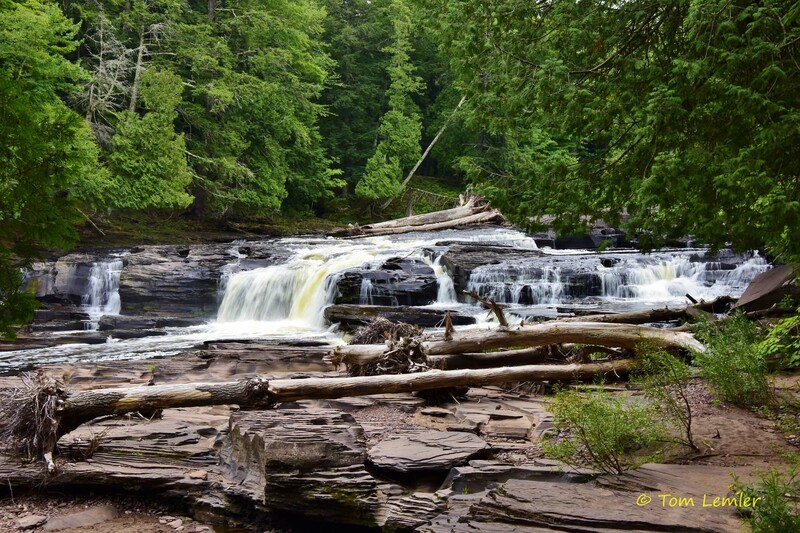 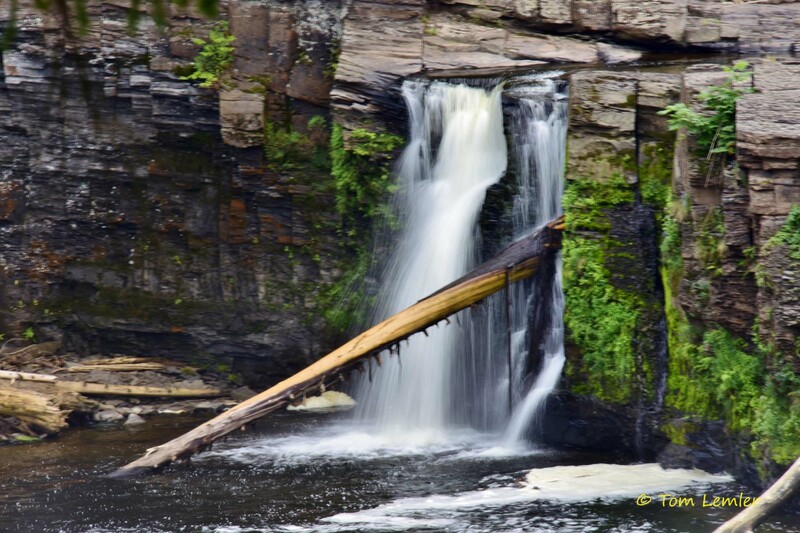 From there, we drove north of Bessemer, Michigan where we photographed and enjoyed five different waterfalls along the National Black River Scenic Byway. 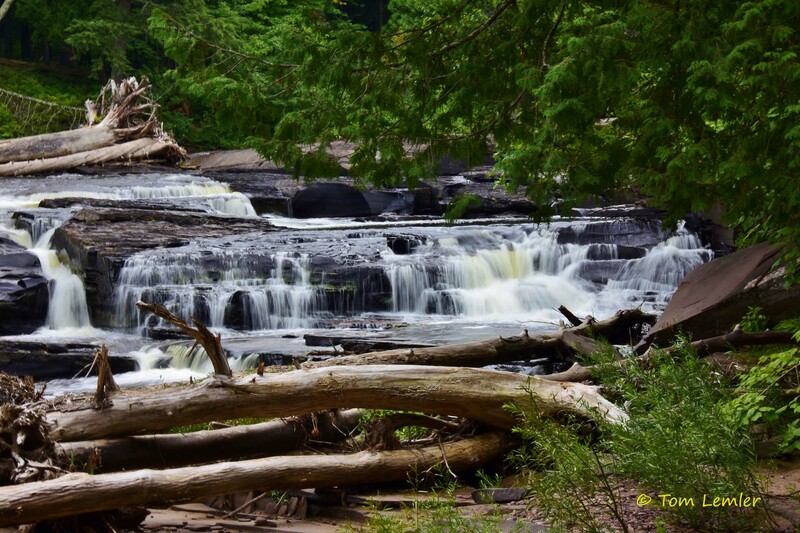 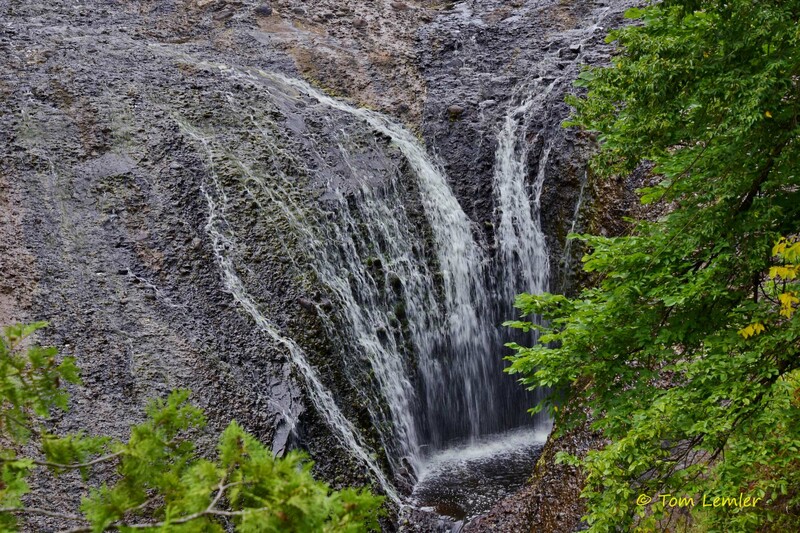 These were the Great Conglomerate Falls, Potawatomi Falls, Gorge Falls, Sandstone Falls, and Rainbow Falls. 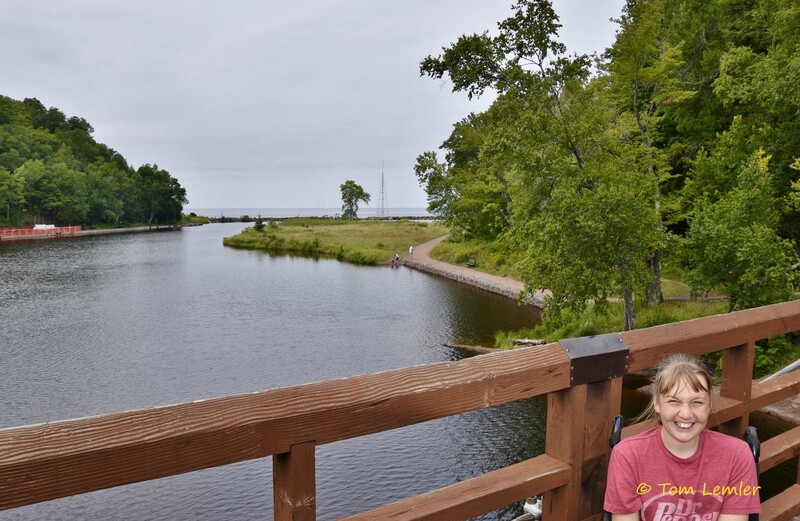 At the end of the road Black River flowed into Lake Superior through Black River Harbor. 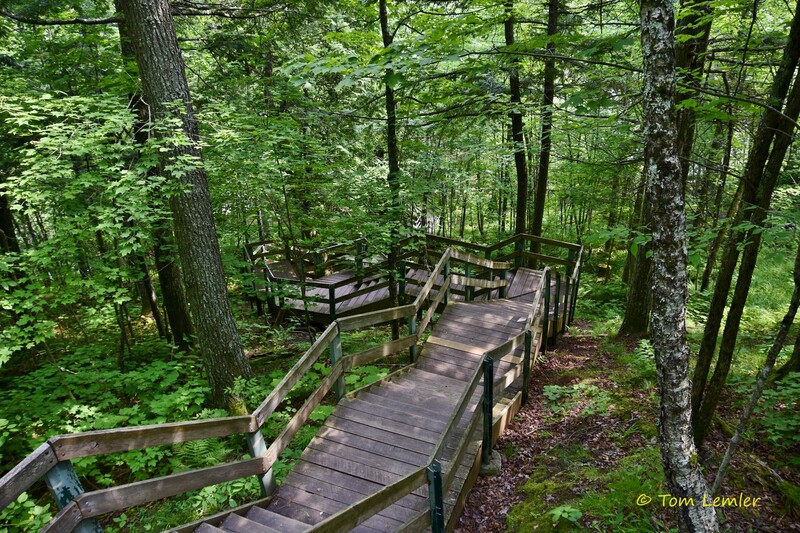 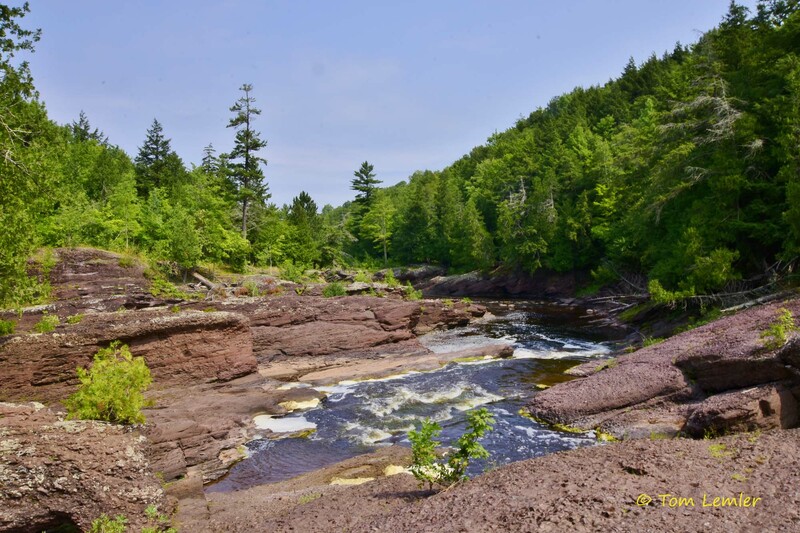 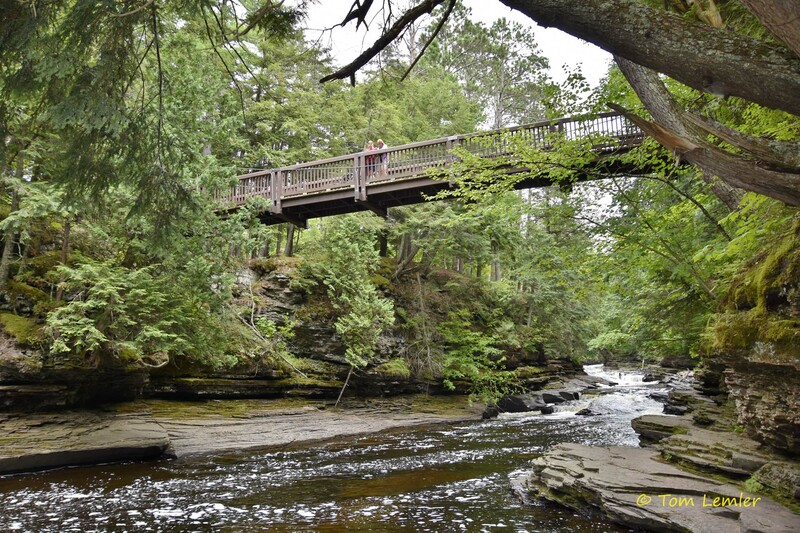 Our final stop of the day was at the Presque Isle Scenic Area of the Porcupine Mountains Wilderness State Park. 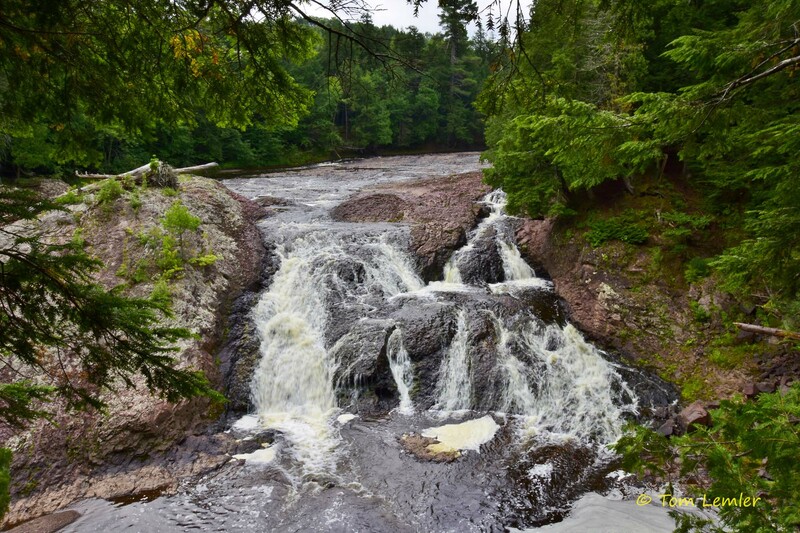 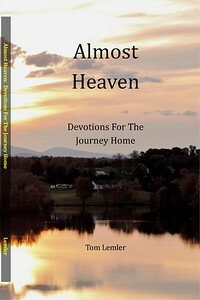 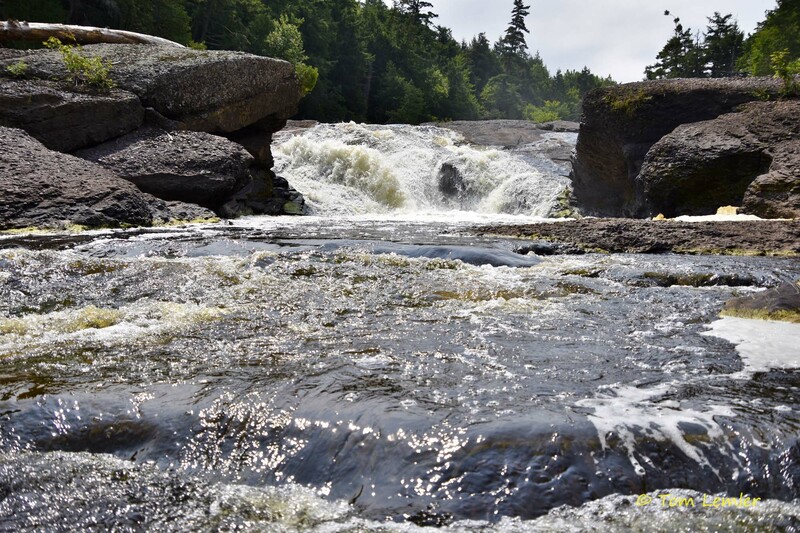 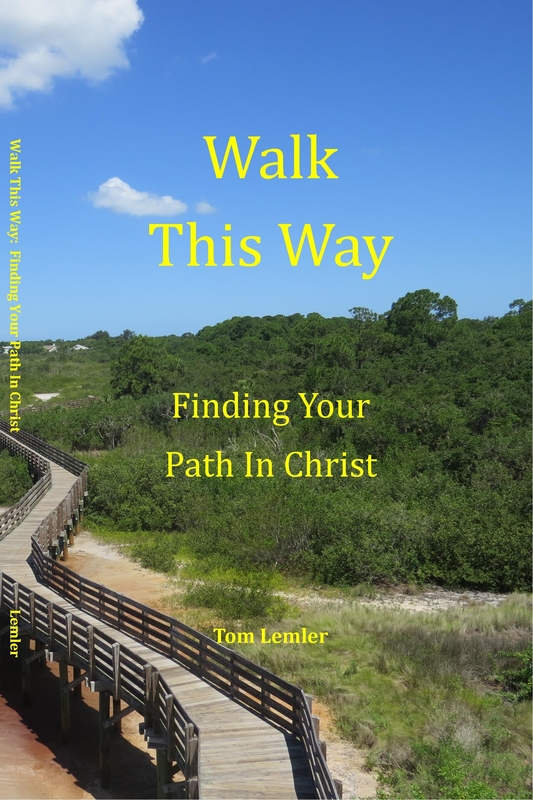 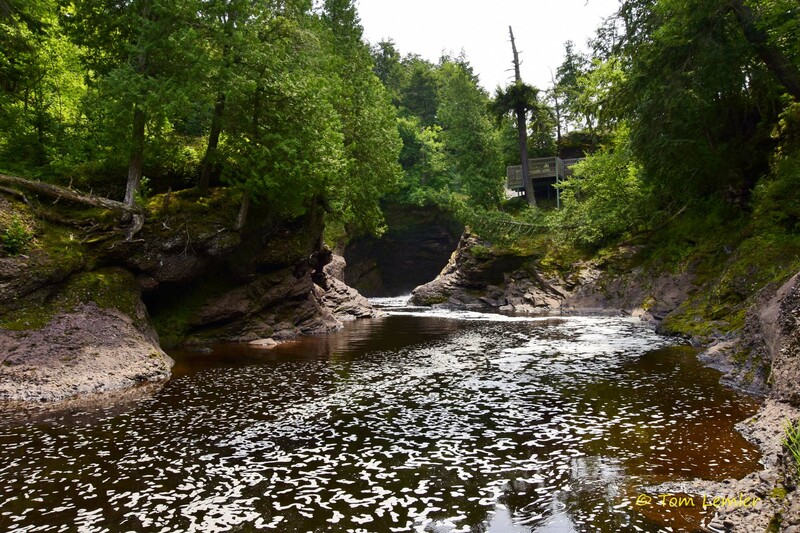 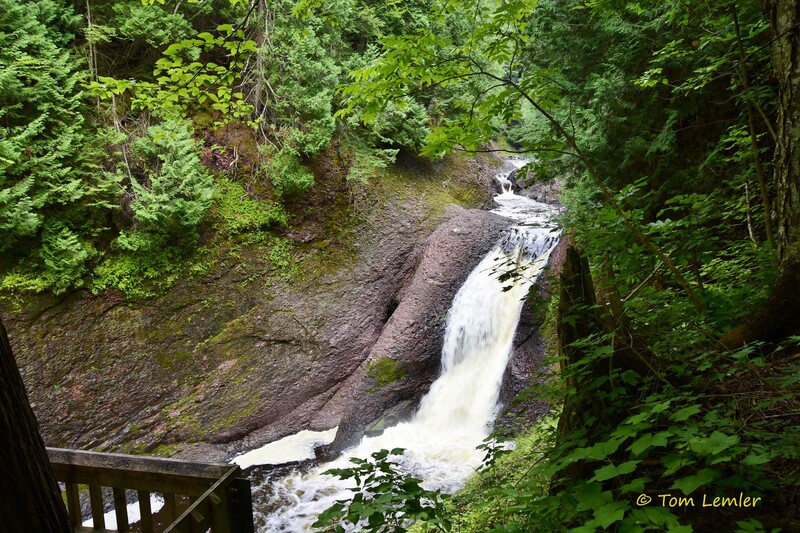 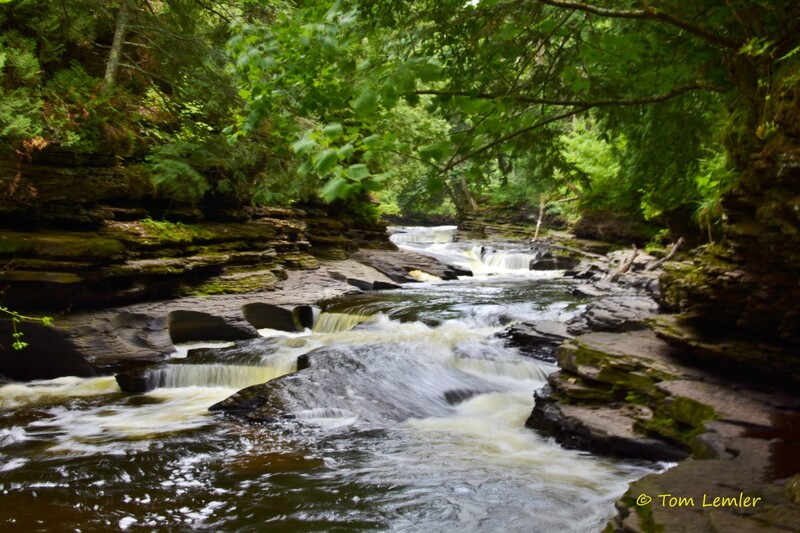 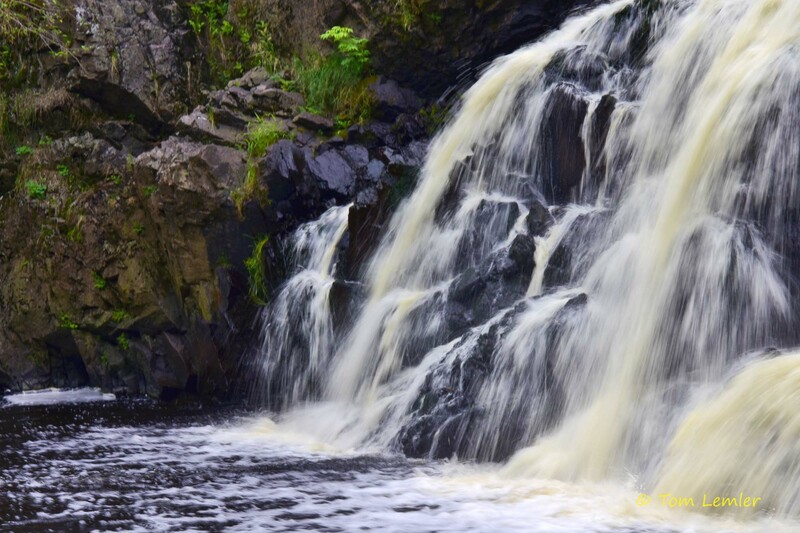 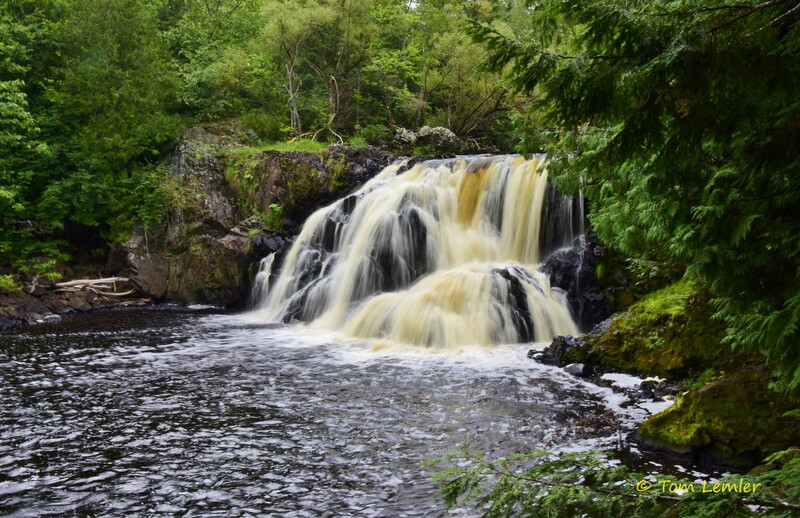 This stop included the climbing up and down of many stairs that was rewarded by three named waterfalls and an unnamed rapids area near the end of the river that was even more beautiful than many marked falls. 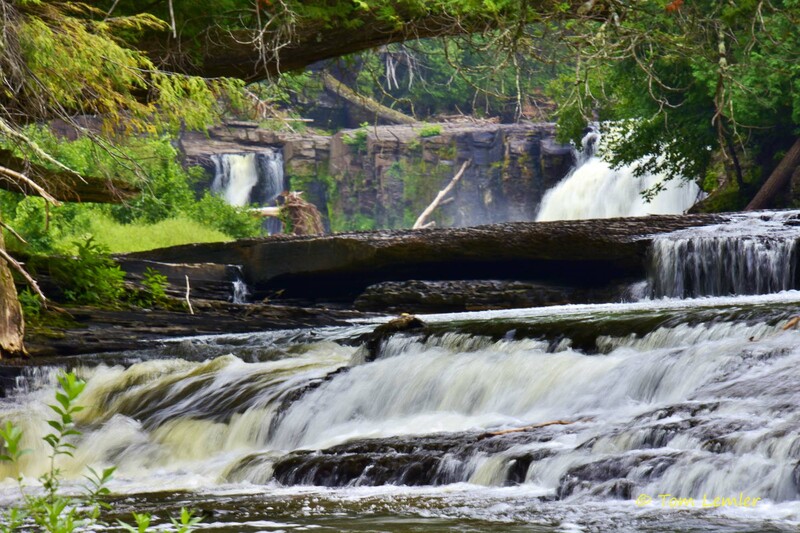 The waterfalls were the Manabezho Falls, Manido Falls, and Nawadaha Falls. 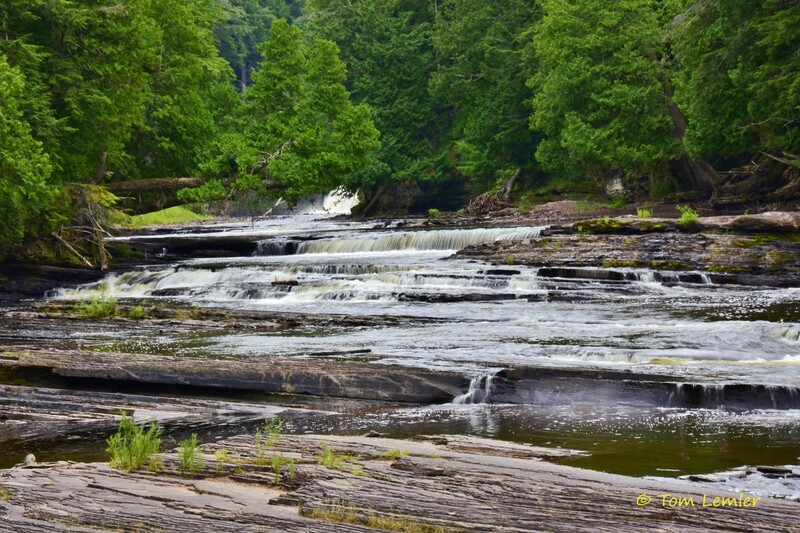 Susan had a seizure somewhere between the last two falls, so we pushed her back to the truck in her wheelchair and then drove to a parking area closer to the falls so we could see it before heading back to the farmhouse for the night. 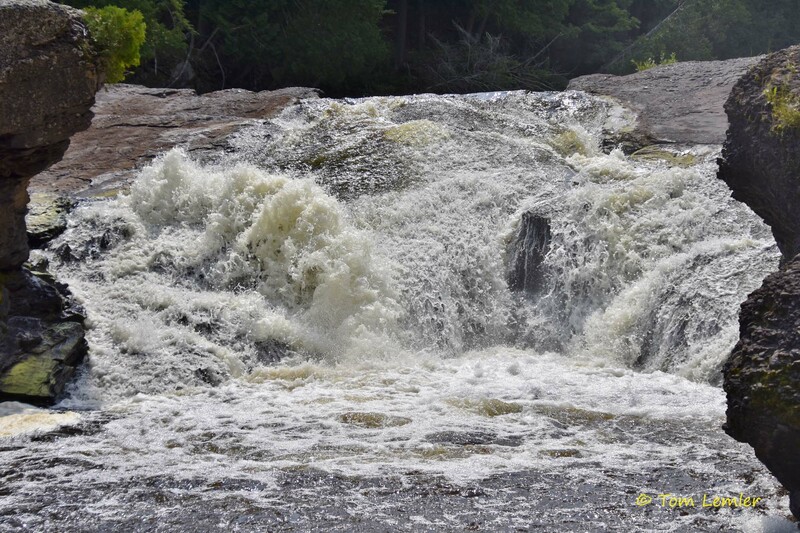 Water falls are magical. 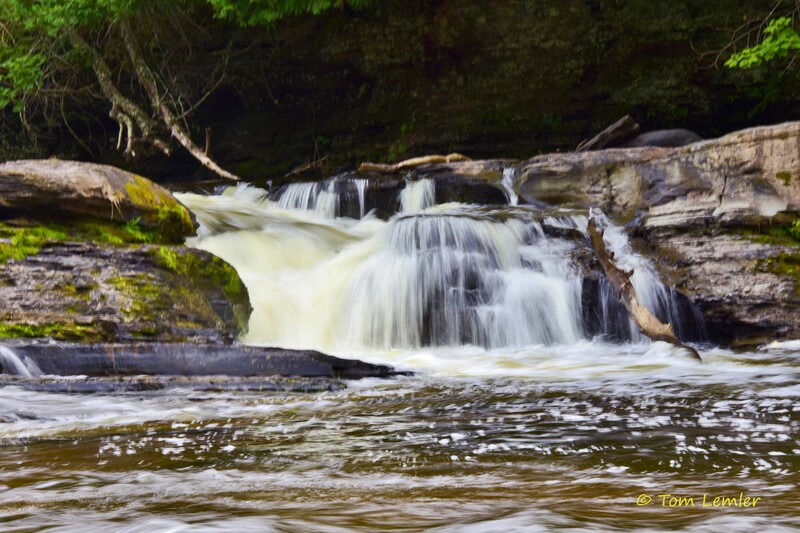 I am mesmerized by the look of the flowing water and the sound fills me with a peace and tranquility I seldom find elsewhere.